Summer is over and the holiday’s are quickly approaching. This is a great time to stop and be thankful for what we have and consider how we can help others. 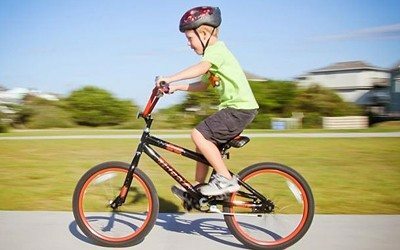 With this in mind, Dakno Marketing has decided to partner with The Triangle Spokes Group, a non profit, whose goal is to provide brand new bicycles and helmets to kids that can’t afford them. 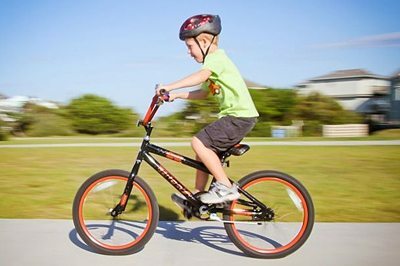 For every SwiftSite, SwiftBlog or Hybrid website purchased now through Thanksgiving Day, Dakno Marketing will donate a new bike and helmet to be given to a need-worthy child. If you’re like me, you can still remember that special Christmas morning running down stairs to see a brand new bike by the tree – racing out the door still in my PJs wanting to test out my new bike. I was reminded of that feeling, more than ever, just last week when we took the training wheels off my son’s bike. A few scrapes and bruises later, he is now enjoying the fun and freedom that two wheels can bring. With today’s high rates of childhood obesity and exercise consisting of walking from the couch to the Xbox to swap out a game, getting outside and taking a ride is paramount. This, combined with the simple joy and fun a bike can bring to a child, is why we have decided to join Triangle Spokes Group to help meet their goal of donating 500 bicycles this Christmas. If you, or someone you know, are interested in a dynamic, lead generating website, now is a great time to do it. You will not only improve your marketing and business, you will also help surprise a child this holiday season with a brand new bike.